HAVE YOUR SAY – WE’VE MADE IT EASY! 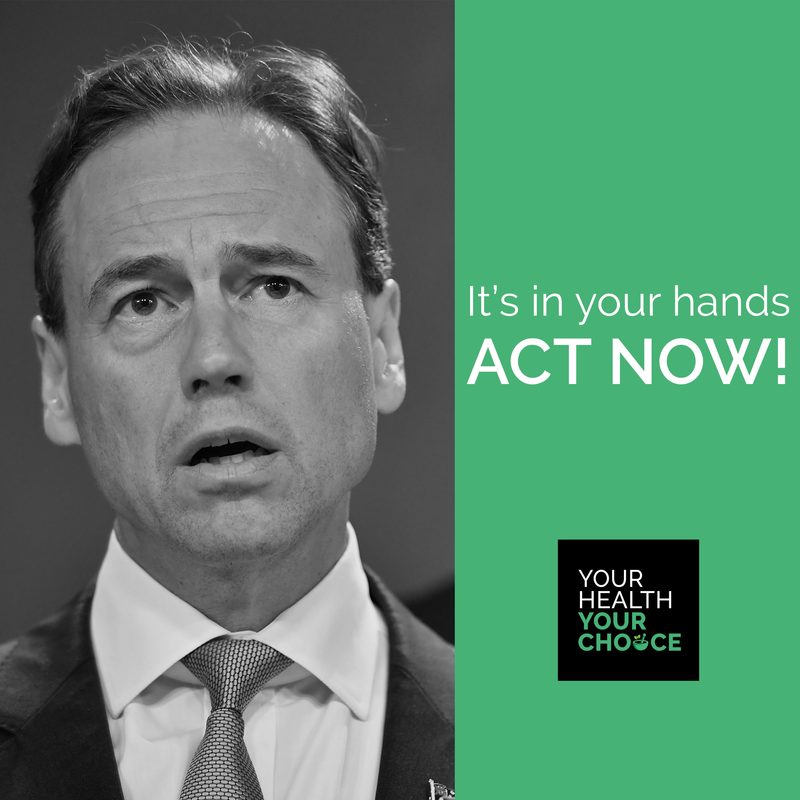 Your email below will be sent to Health Minister Greg Hunt, your state Liberal Nation Party (LNP) Senator/s and if you are in a LNP seat, your local federal member. Last year thousands of you flooded Health Minister Greg Hunt with emails asking him to save health fund rebates for natural therapies. It almost worked: a compromise was about to be made then quashed due to the LNP leadership spill. With the Government facing political annihilation, there is still a window for democracy to take effect and have this flawed & unpopular policy changed. All Hunt needs to do is amend the Business Rules to allow insurers to offer rebates – without having to go through Parliament. It’s that simple. Have your say in the form provided and we’ll forward your individualised message to Minister Hunt, your State LNP Senators and (if applicable) your LNP Federal Member. Politicians consider 1 personalised message to be worth 100 votes so let them know your concerns, and ask your family and friends to do the same. We nearly succeeded last time. The incentive to get politicians to listen & act this time is even greater!